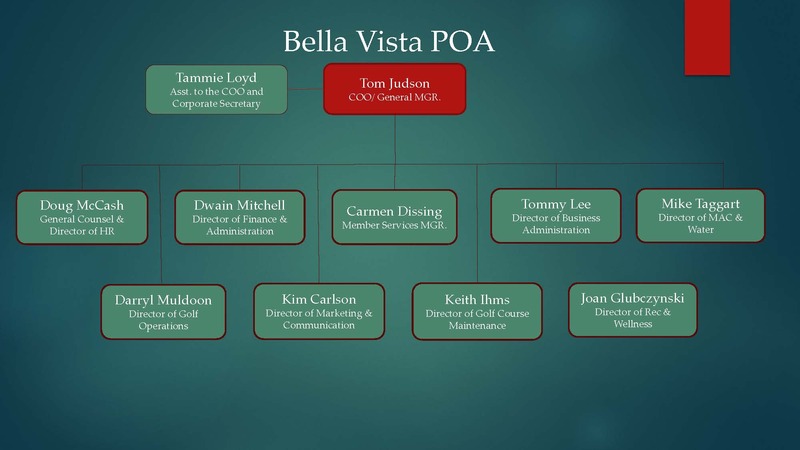 Tom Judson joined the POA staff in January of 2016. He went to high school in Pasadena, California and to college in San Diego, California, earning his bachelor’s degree in Business Administration (BBA) and Accounting from the University of San Diego. He then earned his master’s in Business Administration (MBA), with a specialization in Finance at San Diego State University. 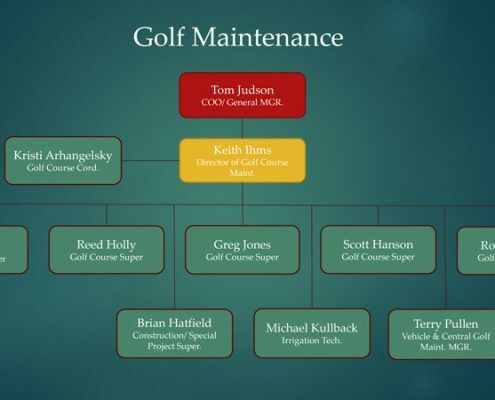 Tom has over 25 years of experience in managing communities and golf courses. 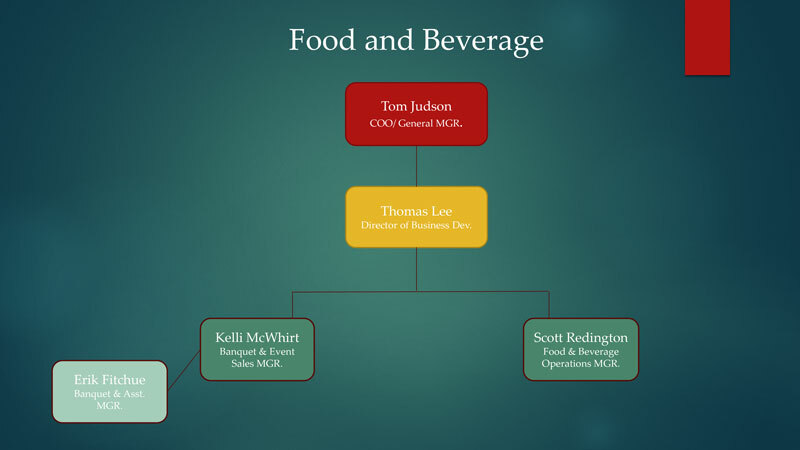 He is a member of the Community Associations Institute and a member of the Club Management Association of America. 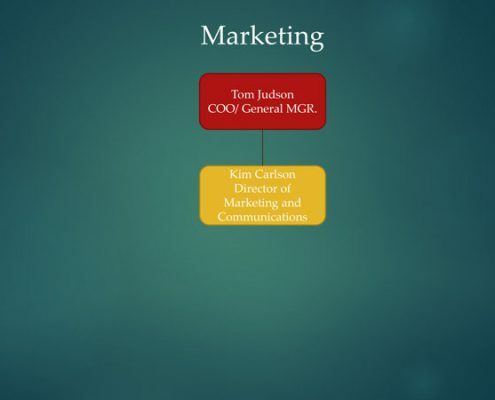 Judson served on the board for Discover Bella Vista, the new Advertising and Promotions Commission for the City. Dwain Mitchell joined the POA in 2002. 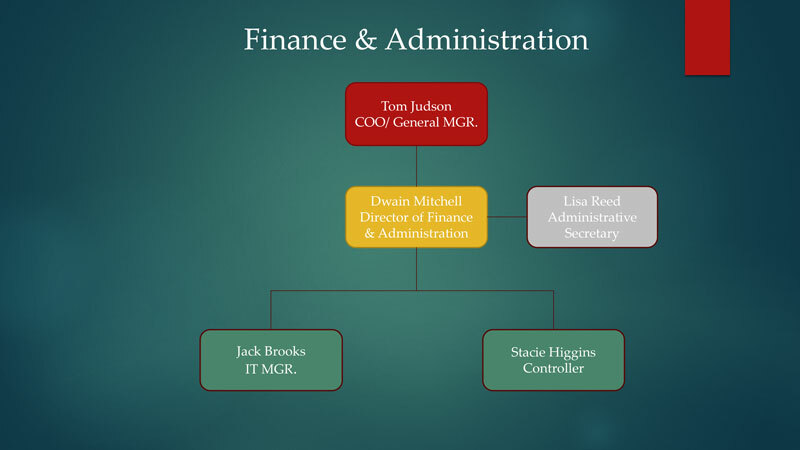 He was hired as the Controller in the accounting department and was promoted to CFO/Director of Finance & Administration and Treasurer. Dwain is a true Northwest Arkansas native. 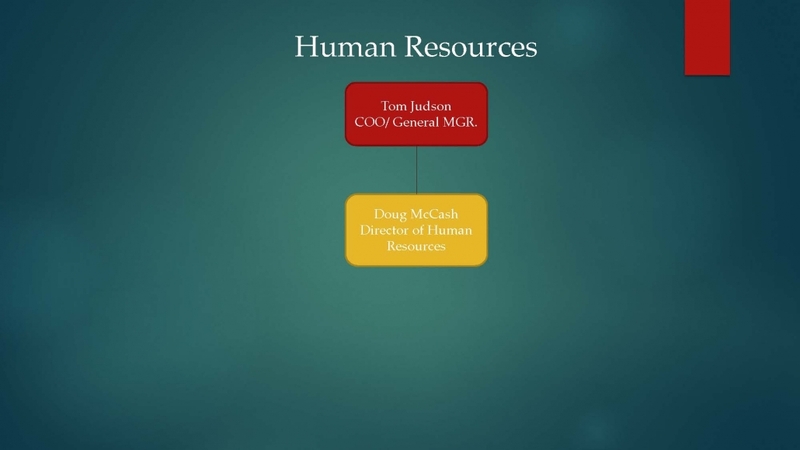 He has worked in accounting and finance related fields for over 35 years. 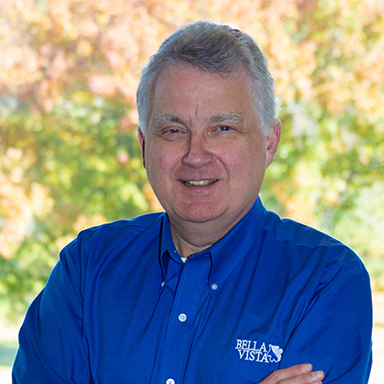 Dwain came to the POA with a background in the petroleum industry with an emphasis in logistics, transportation, governmental regulations, multiple state taxation issues, internal controls, compliance and environmental regulations. On weekends, he serves as Minister of Music at his church, leading worship from the piano. 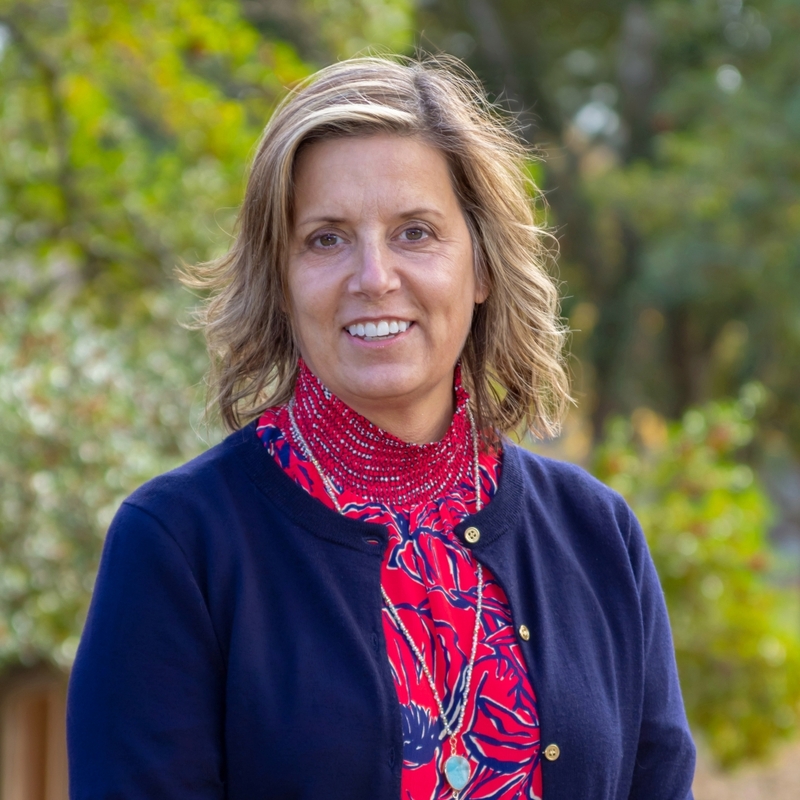 Tammie Loyd grew up in Southwest Missouri and has called Northwest Arkansas home for over 20 years. She graduated from Arkansas State University with a bachelor’s degree in Communication. 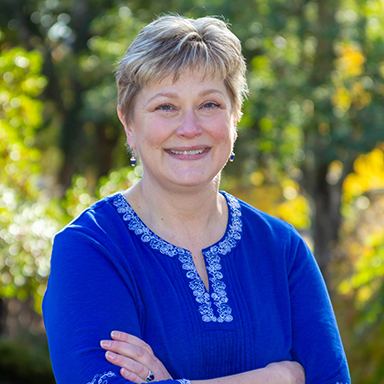 Tammie has over 30 years in Human Resources, Training and Development and Administration working in various retail and non-profit organizations. Before joining the POA, Tammie owned and operated her own business on Main Street in Gravette, Arkansas. 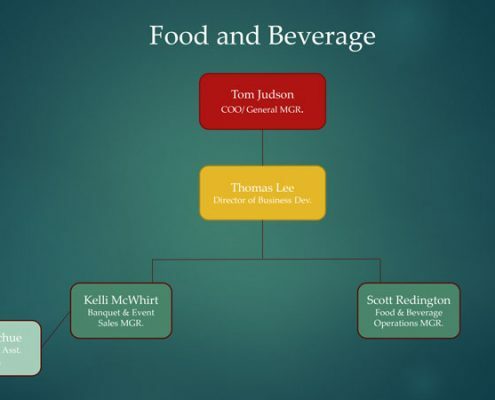 Tommy Lee grew up in South Georgia and has lived throughout the southeast where he started his career at Valdosta Country Club while in college as clubhouse manager. 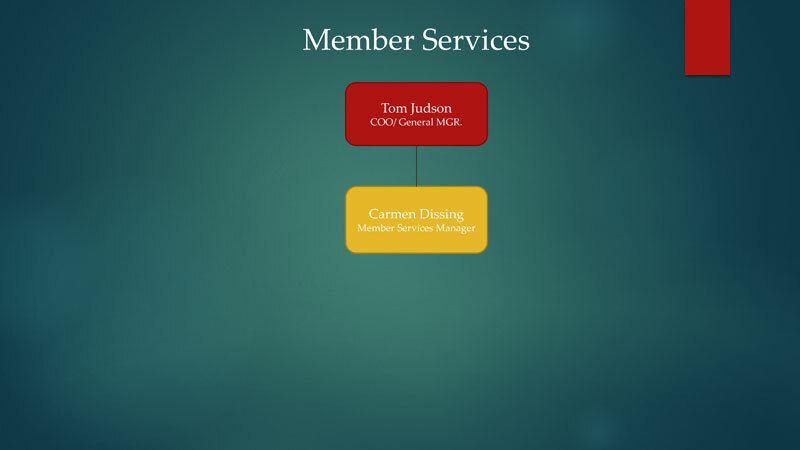 He joined the POA in 2016 and has 25 years in private club, resort and POA management and development. 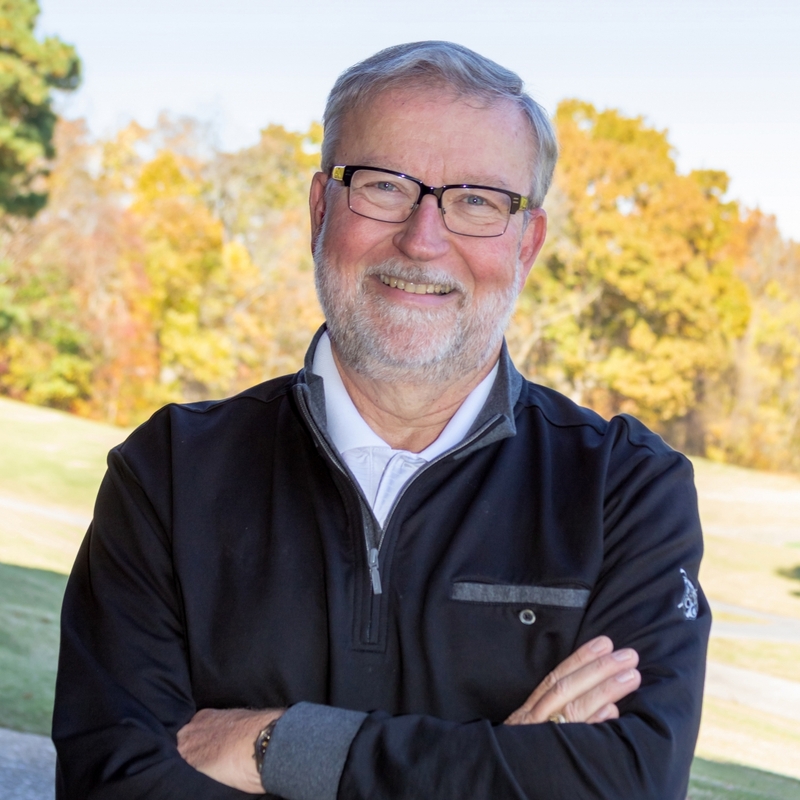 He previously served as Chamber Board Member and President of the Volunteer Chapter of the Club Managers Association and served on the Tennessee State Board of Tourism. 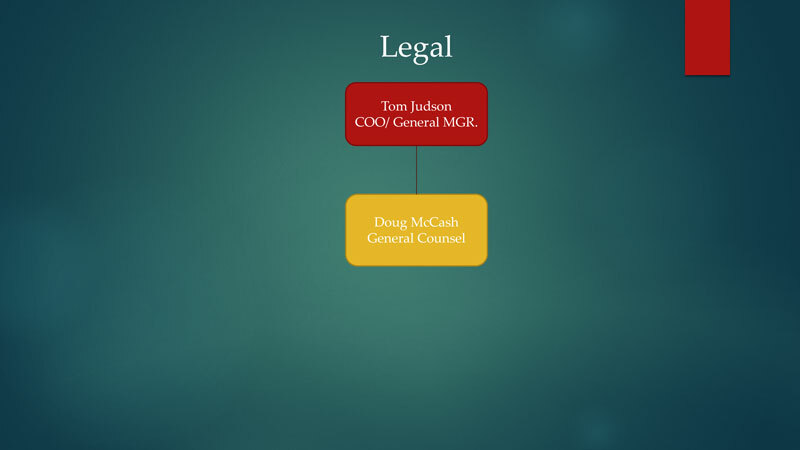 Doug McCash joined the POA in October 2013. His formative years were spent in East Moline, Illinois (the “Quad Cities”), but his family moved to Northwest Arkansas after he completed high school. 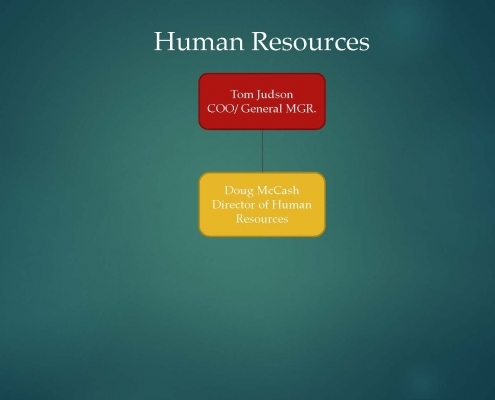 He completed his undergraduate degrees at the University of Arkansas in International Economics and Spanish. 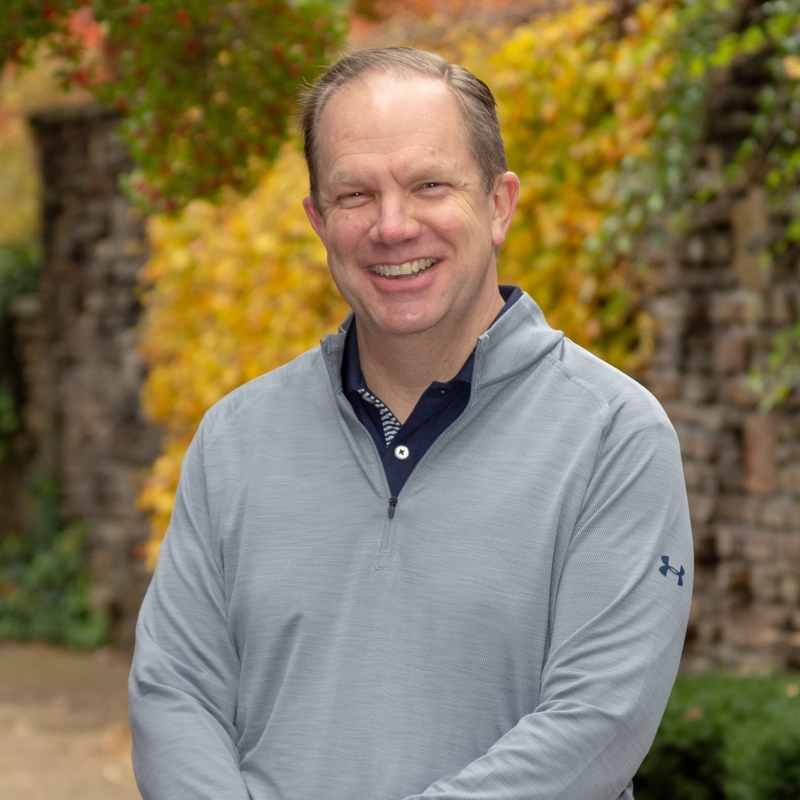 Doug has been a licensed attorney since 2003 and started his career with a mid-sized law firm in Omaha, Nebraska, working in the areas of Estate Planning and Real Estate before moving back to Northwest Arkansas in 2013. 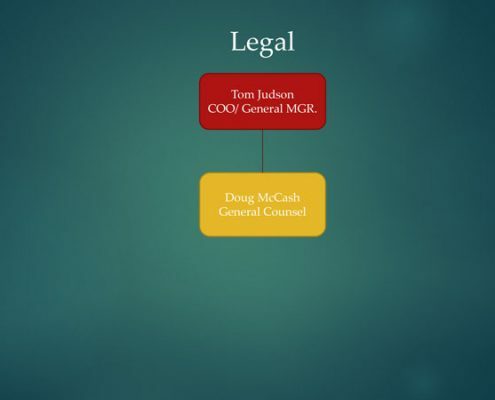 He is a current member of the Arkansas Bar Association and maintains inactive status with the Nebraska State Bar Association while also being an active volunteer with the Boy Scouts of America. 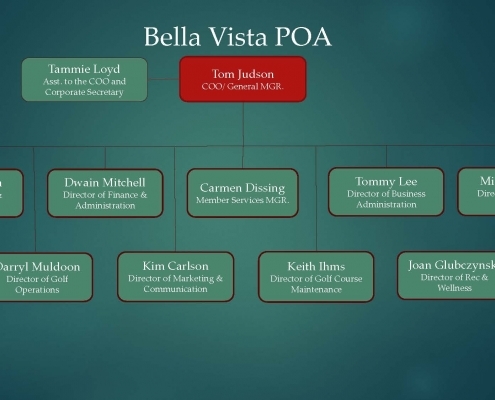 Jack Brooks joined the POA staff in March 1999 and was hired to get past Y2K. He is originally from Wichita, Kansas but grew up in Madison County, Arkansas. His experience started with the State of Wyoming in 1989 after he served with the Air Force for 10 years. Jack has a BS in Industrial Engineering from Southern Illinois University and an MS in Management Information Systems from Lesley College. He is a past member of IEEE and is a NRA Certified Pistol Instructor and Range Safety Officer. Carmen Dissing joined the POA staff in 2007 and is originally from Kansas and moved to Northwest Arkansas. She has 40 years of experience working in Member Services starting in a department store, helping with customer service. 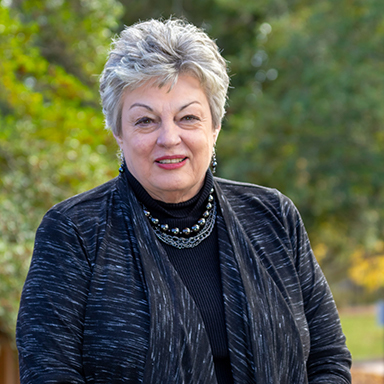 Carmen then obtained a broker’s license in real estate in 1977 and has owned her own businesses over the past several years. Kim Carlson joined the POA staff in 2017 and is a native Kansan who visited Bella Vista with her family in the early 70’s. She graduated from Fort Hays State University with a bachelor’s degree in Marketing. 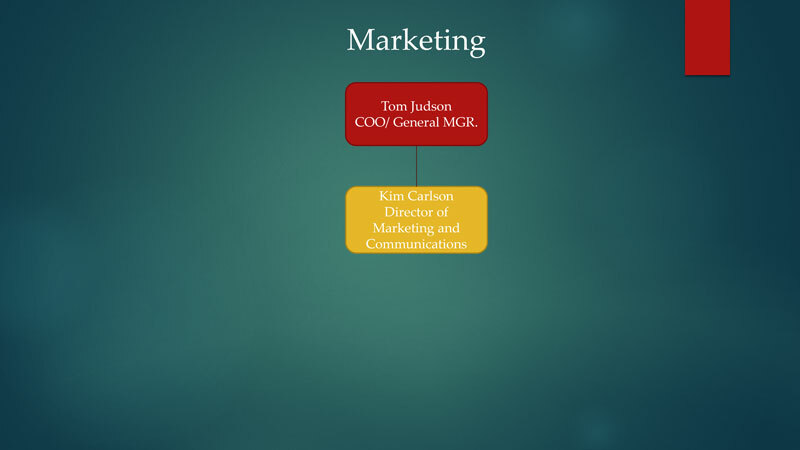 She has over 30 years of experience in Communications, Marketing and Leadership working in the direct marketing, non-profit, telecom and higher education industries. 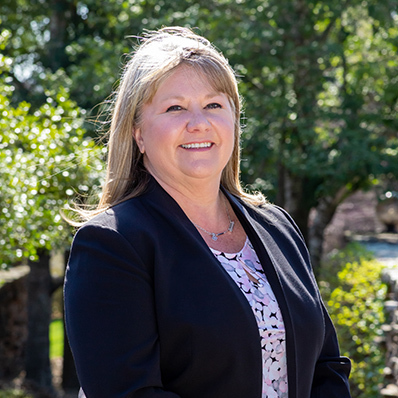 Kim has previously served as a Chamber Board Member and served on numerous non-profit boards and committees; she is currently a CASA Volunteer. 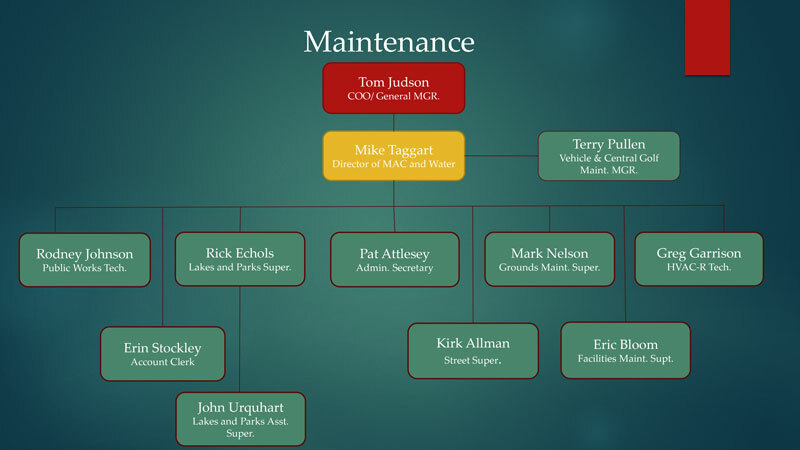 Mike Taggart joined the POA in 1984 and is originally from Kansas City, Kansas. He studied Constructional Engineering Technologies (CET) at Missouri Western State College on a four-year football scholarship. He started his career as a Project Manager for various paving contracting companies, as well as residential and commercial construction. 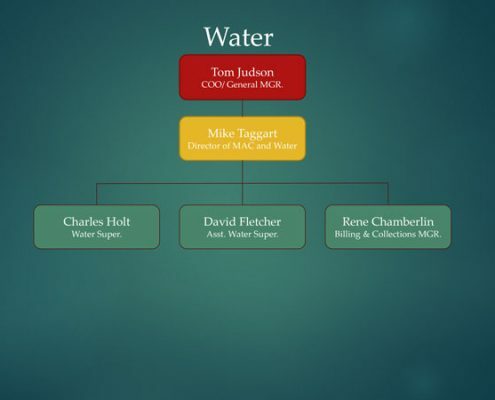 He holds both Water Treatment and Distribution Grade IV Water Licenses with the Arkansas Department of Health (ADH) along with a State of Arkansas Commercial Contractors License. Mike serves as a Deacon for the First Baptist Church Bentonville, is a member and Board Chairmen for the Benton Washington Regional Public Water Authority, a member to the Board for the Architectural Control Committee (ACC), a member of the American Water Works Association (AWWA) and is also a member of the Arkansas Rural Water Association (ARWA). Rick Echols joined the POA in January 2016 and is originally from the Shenandoah Valley in Virginia. He has a Bachelor’s in Biology from Bridgewater College, Virginia and a Master’s in Zoology from Southern Illinois University, Carbondale. 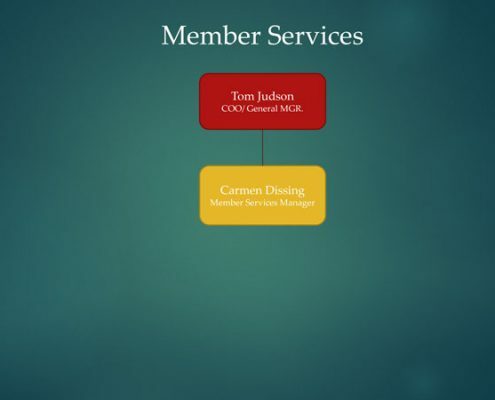 He has 21 years’ experience in fisheries management and aquaculture including the Virginia Department of Game and Inland Fisheries where he worked as a trout stocker, creel clerk, and fisheries technician. He worked for the U.S. Fish & Wildlife service as a big river fisheries biologist on the Ohio and Mississippi Rivers and as a fish biologist at the Uvalde National Fish Hatchery in Texas. 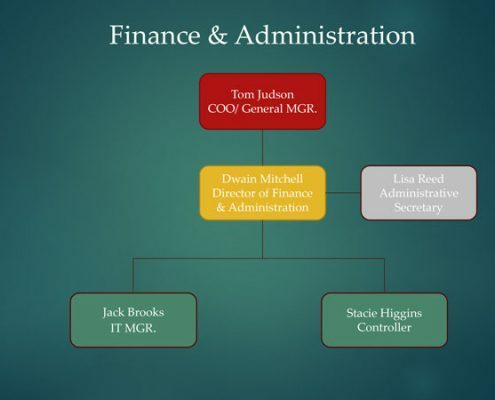 He also worked for the Kentucky Department of Fish & Wildlife Resources as an assistant district fisheries biologist and ran his own consulting business. Charlie Holt is from Neosho, Missouri and joined the POA in November 2015. 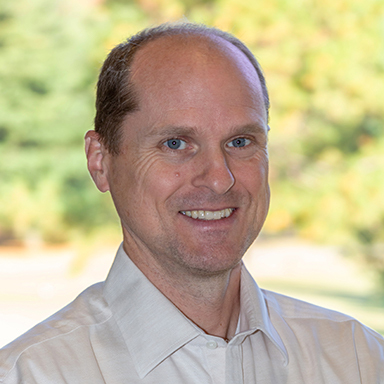 He has a bachelor’s degree in Civil Engineering from the University of Arkansas and he is also a licensed Professional Engineer in the State of Arkansas. 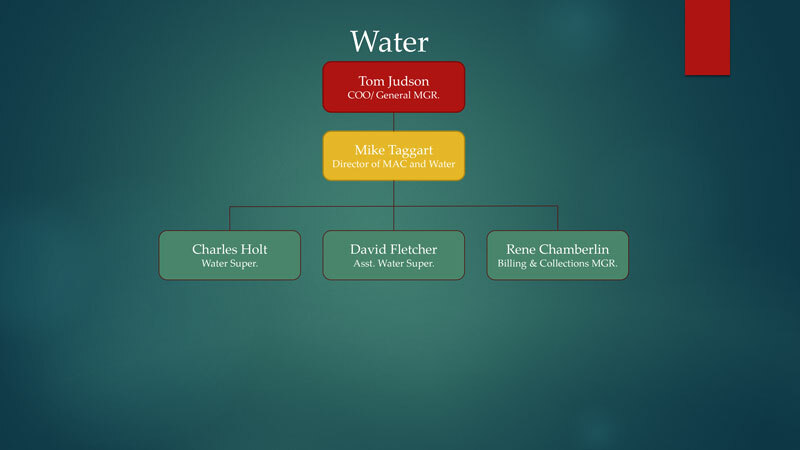 His career started as District 1 Engineer for the Arkansas Department of Health in Little Rock and he regulated, inspected and provided technical assistance to public drinking water systems in Northwest Arkansas. Charlie is also a member of the American Water Works Association. Joan joined the POA senior leadership team in 2016, and has lived in Bella Vista since 2005. She holds a Bachelor’s of Science degree in Corporate Fitness with a minor in Business Management and did her master’s work in Sports Management. 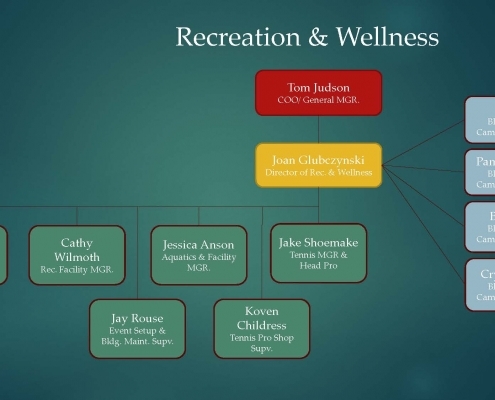 She also has 30 years’ experience in recreation, wellness, fitness, sports management and leadership. 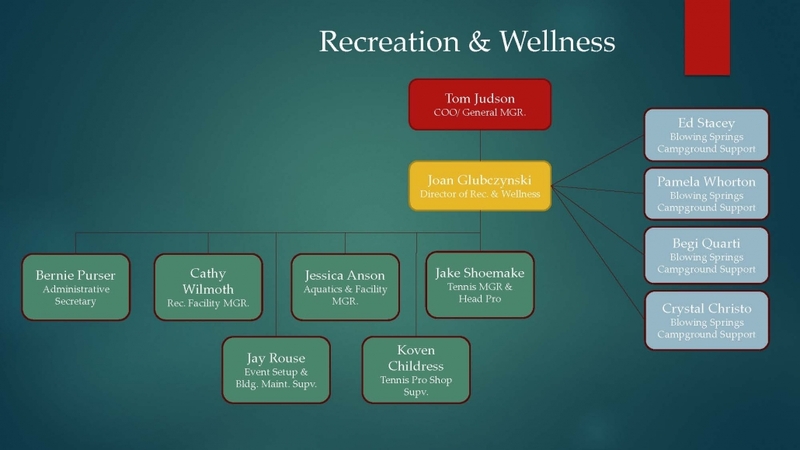 Joan began her career working for a University as Assistant Director of Intramurals and Fitness. She has served on many not-for-profit Boards such as Girls on the Run of NWA, and currently sits on the Board of the NWA Trailblazers. 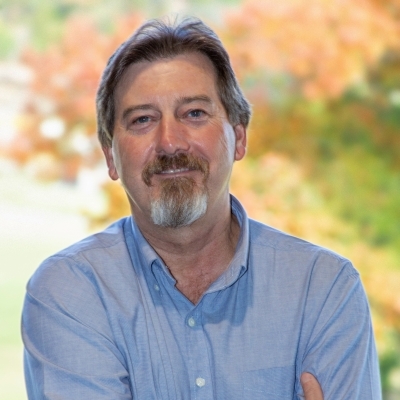 Darryl Muldoon is originally from South Africa and came over to the United States to work in the poultry business in 1999. 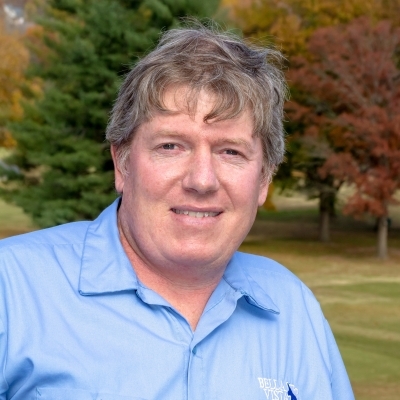 He has lived in Bella Vista for 13 years and has worked for the POA for 7 years in the golf department. 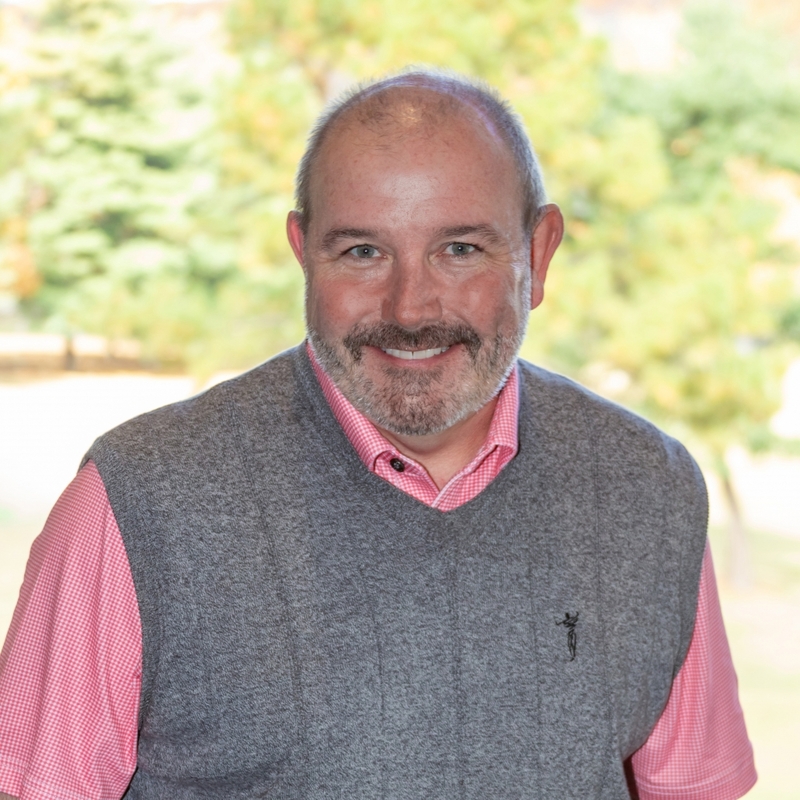 Darryl started as an assistant golf professional at the Bella Vista Country Club and is now the Director of Golf Operations. Keith Ihms joined the POA in 2014 and is a native Texan from the Hill Country near Austin. 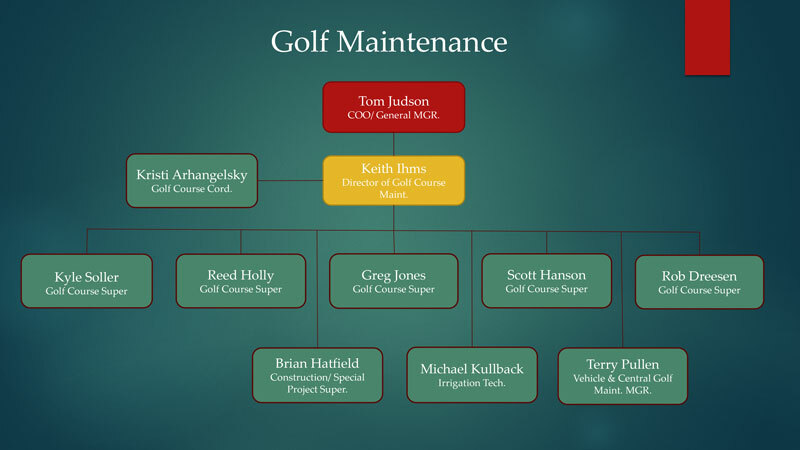 He has worked 38 years as a golf course superintendent/last 5 years as Director of Golf Maintenance at the POA. Keith has earned a bachelor’s degree in Agronomy with specialization on Turfgrass from Texas A&M. 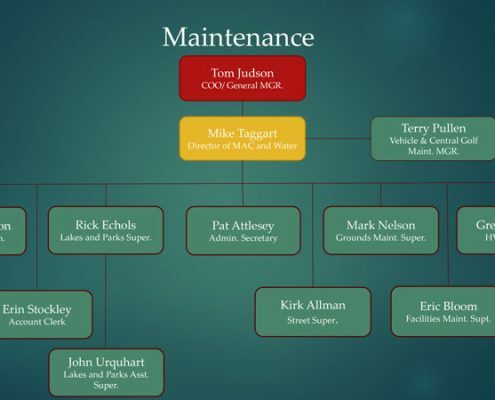 He is a 38-year member of The Golf Course Superintendent Association of America (GCSAA), was awarded a Certified Golf Course Superintendent (CGCS) status in 1986 and recertified for seven, five-year cycles. 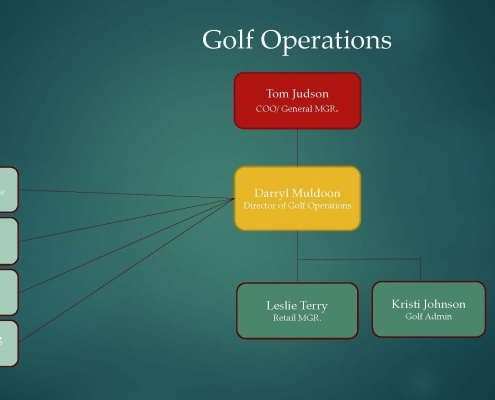 He served as board member and President for GCSAA, the Environmental Institute for Golf and the state association, Lonestar GCSA. 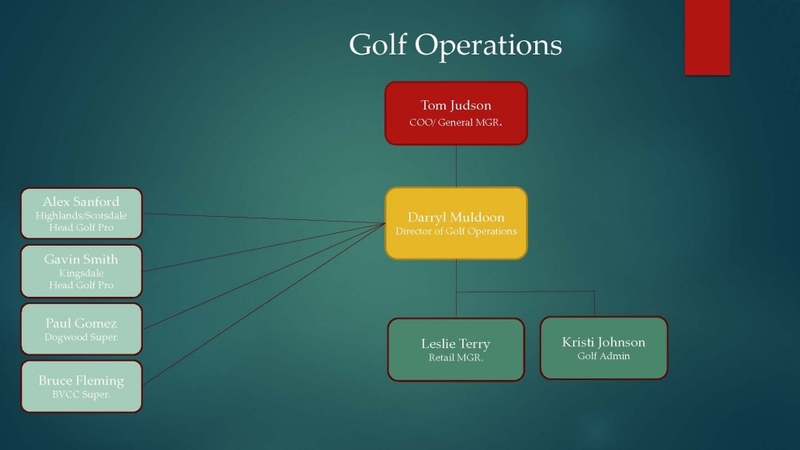 He is a current member of the Arkansas Turfgrass Association; a committee member of the USGA; an honorary member of the PGA and an Advisory Committee member for Texas State Technical College. 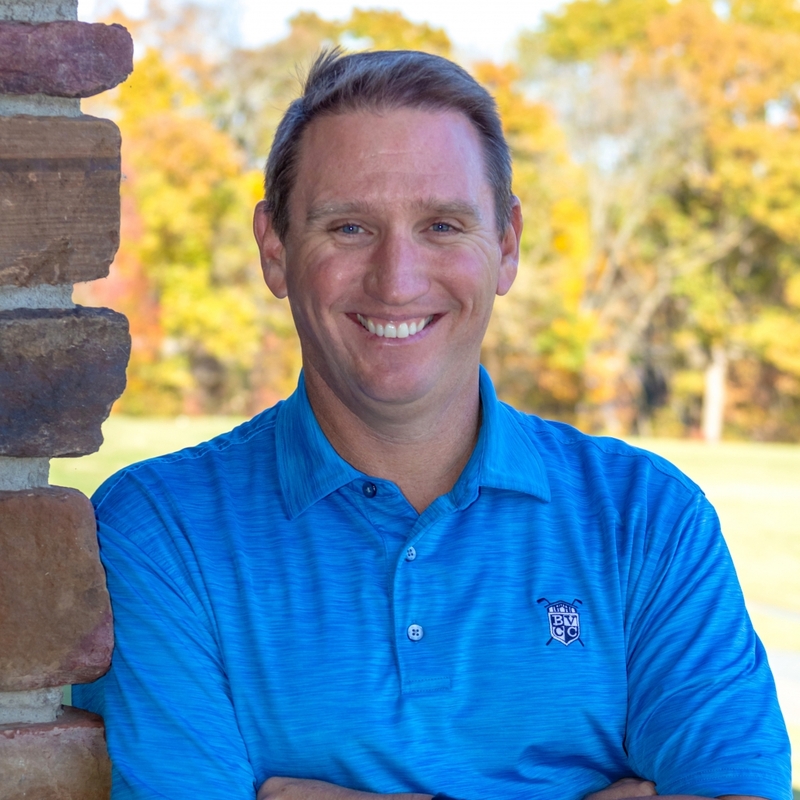 Keith was selected to work 3 US Opens, 2 PGA Championships, 1 US Amateur Championship, 1 Master’s and Tour PGA events in Dallas, Ft. Worth, San Antonio and Houston.